Want your cheese to make a statement? Our Bio-dynamic Triple Cream Camembert gets is dreamy, creamy texture from our certified bio-dynamic organic milk and plenty of cream! 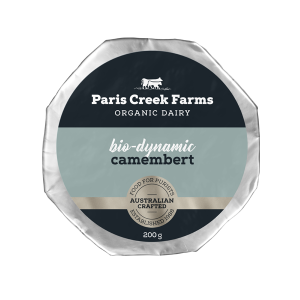 This cheese has a delicate mushroom flavour and it keeps getting better with age, just like a good wine. 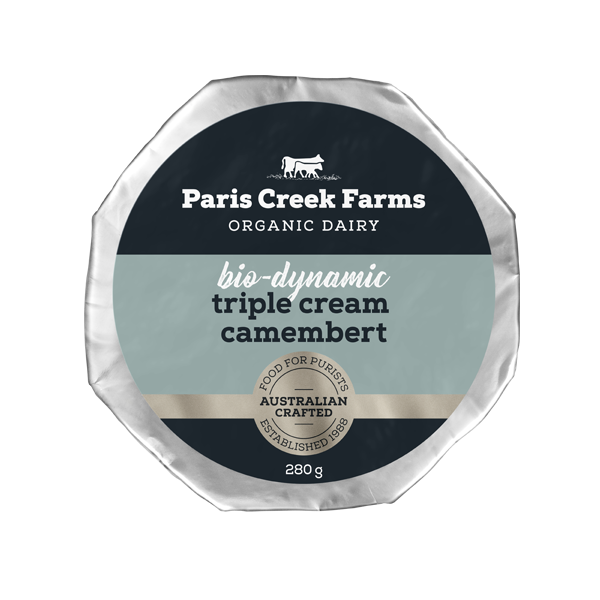 Certified Bio-dynamic Organic Milk, Certified Bio-dynamic Organic Cream, Natural Sea Salt, Non-Animal Rennet, Cultures. CONTAINS MILK.